A few weeks ago, I posted this photo on my Instagram. 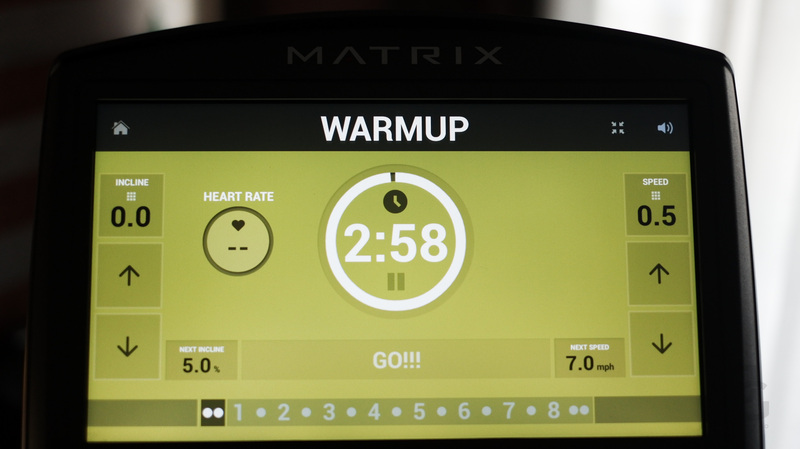 I didn’t know I could want an equipment as much as this Matrix TF50 Treadmill. So much that I have included this on my wish list and have mentally imagine it sitting in the middle of our future home gym. Hahaha! This was me trying it during it’s official launch last May 9 held at Acacia Hotel in Alabang. 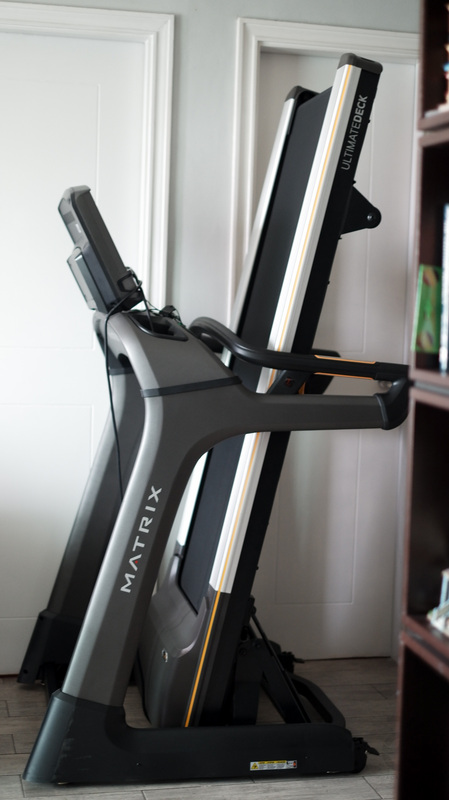 I was able to test the TF50 even more when Johnson Fitness & Wellness, the company responsible in bringing Matrix here in the Philippines, indulged me to try it at the comfort of my home. 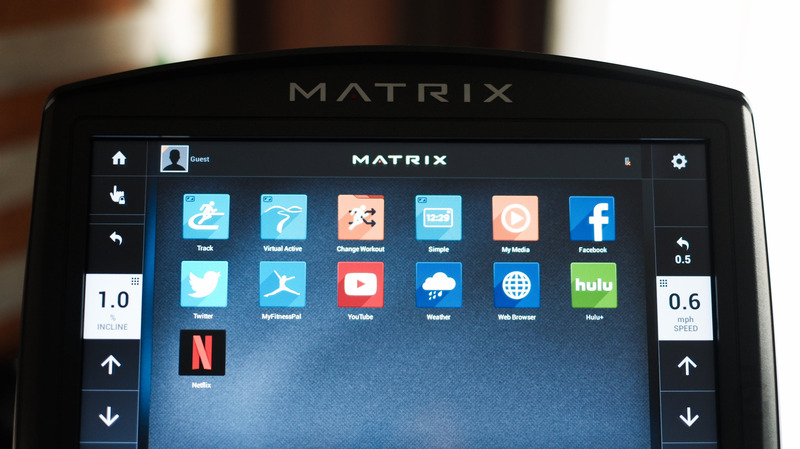 Matrix Fitness–the world’s fastest-growing commercial fitness brand–is now available for one’s home. 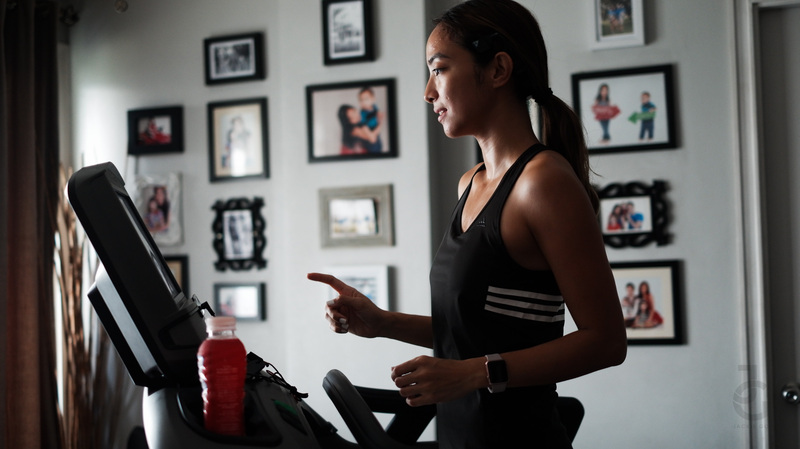 They developed their new premium collection for they believe fitness enthusiasts shouldn’t have to sacrifice to get a health club-quality workout in the comfit of their home. 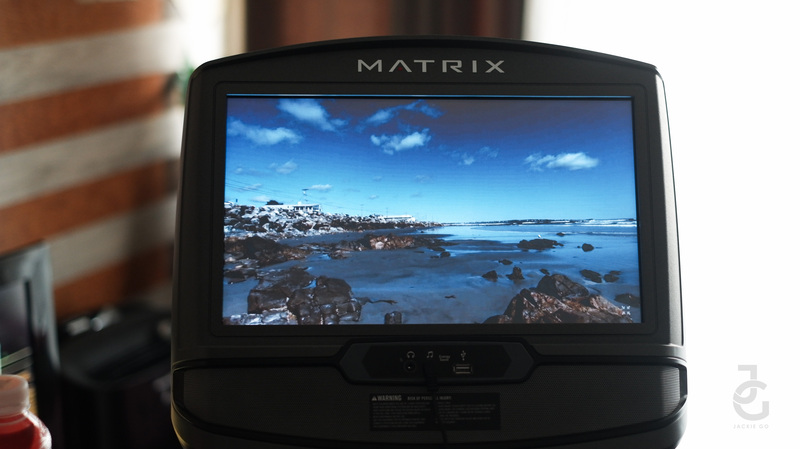 Matrix TF50 offers the ultimate in exercise entertainment. The XIR Console features premium hardware and software including a 16″ high definition touchscreen display, two built-in five-watt speakers, WiFi internet connectivity, Android operating system, Polar heart rate technology (it comes with a Polar hear rate strap), energy saver mode, USB port and full Bluetooth connectivity. 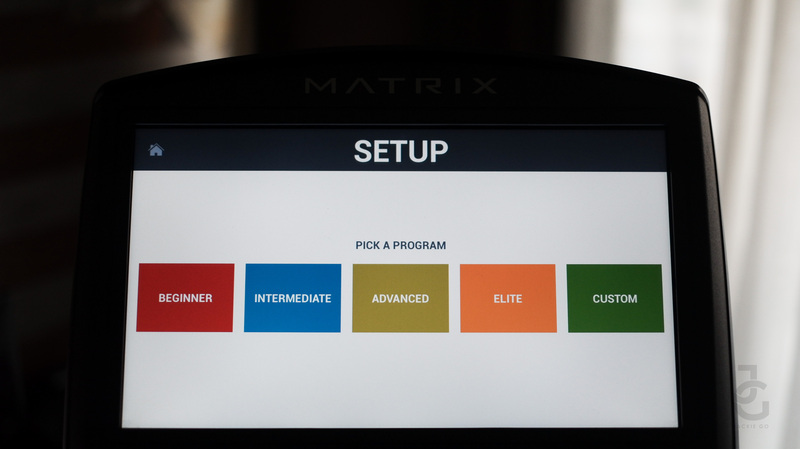 The Matrix TF50 also offers different workout options based on one’s preference. 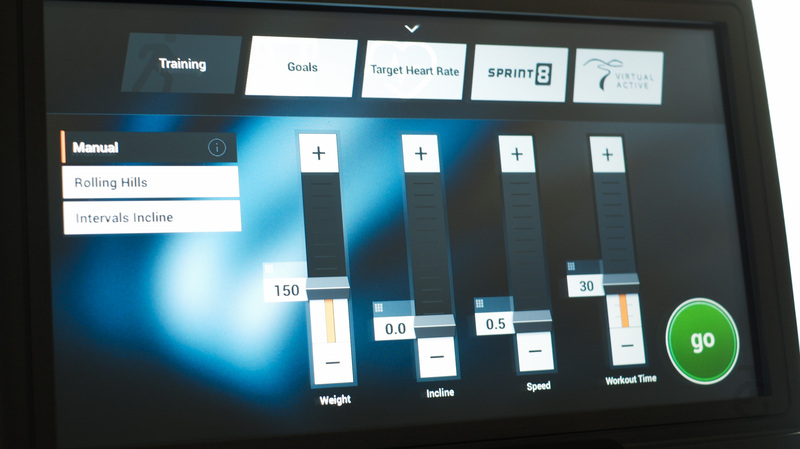 There’s the standard training which you can customise, goal-oriented run, heart rate targeted run, Sprint 8 and Virtual Active. 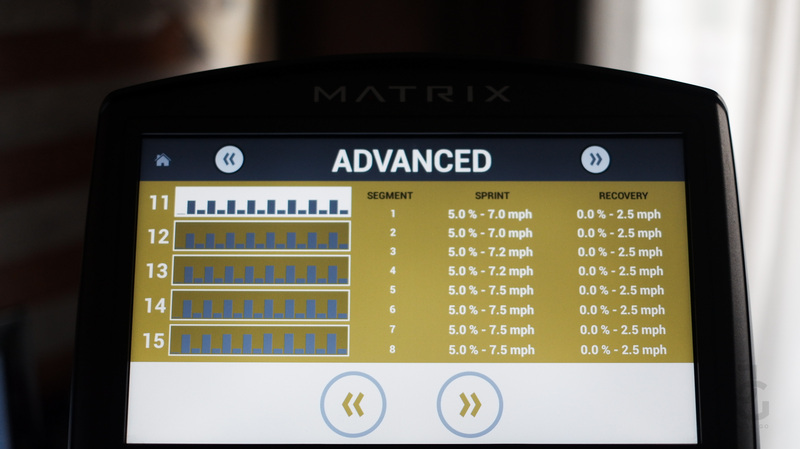 One cool feature of the Matrix TF50 is the Sprint 8 Workout. It has 5 programs to choose from and each one only lasts for 20 minutes. Yep. It’s the perfect workout for people who are busy or have a 9-5 job. Sprint 8 allows one to get in a full workout, including a warm up and cool down, all within 20 minutes. The condense program stimulates a strong positive response in the body and its user-friendly program makes it easy for almost anybody to use. Each program has four phases: warm up, sprints, active recovery intervals and cool down. The first step in Sprint 8 workout. It gradually increases your heart rate–it lets you know how hard you are training. The Sprint 8 workout features a three-minute warm-up period where you move at a moderate rate to start to elevate your hear rate. Quick tip: warm up is important because you don’t want to take your hear rate from resting to all-out exertion in one fell swoop. After warm up, you move on to the actual sprints. Each sprint is 30 seconds long and must be performed wth all-out intensity If you can go longer than 30 seconds, you’re not working hard enough. Initially you may start with jus a few sprints, but over a period of time you can work up to the full eight sprints necessary for maximum results. Interspersed between each sprint is a period of active recovery. You don’t stop moving. You simply lower your intensity level to an easy to moderate exercise pace and let your heart rate come down. The active recovery interval is 90 seconds long, which is the ideal amount of time needed to recuperate before the next sprint. If you feel recovered in less time, you are not working hard enough during the sprint and you will not realize the full impact of the Sprint 8 program. The balance of the 30 seconds intensity and 90 seconds of recovery is the ideal ratio and delivers the best weight-loss results. Just as your body needs a warm-up period, it also needs a cool-down period. Reduce your effort dramatically and move to a slow exercise pace for 2.5 minute prior to finishing your workout. In effect, this slowdown will let your heart rate come down from its high by a slop instead of dropping off a cliff. A cool-down period is a much safer way to bring your workout to end than simply stopping. Another thing to love about the Matrix TF50 is the Virtual Active. 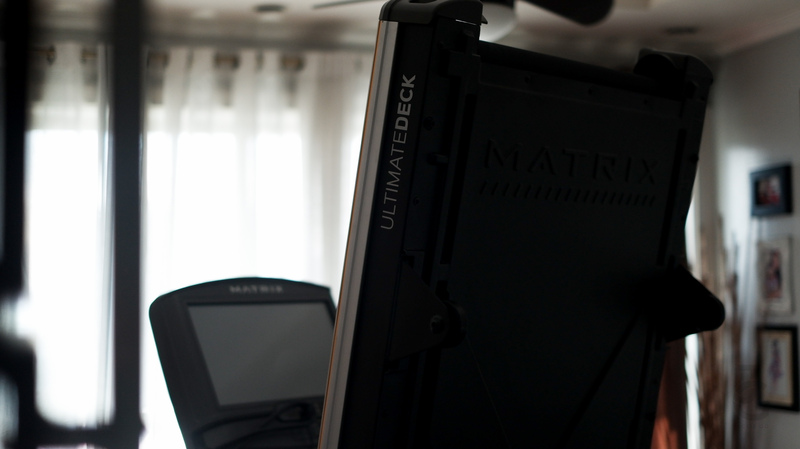 It’s perfect for people who find it challenging to stay in the treadmill for longer period. The Victual Active lets one experience exciting immersive workouts all over the globe with high-definition destination footage synched to the speed of your workout. Seriously, the Virtual Active is such an enabler. It looks so real, I can almost feel the wind on my face or the smell of the ocean or the forest. It truly made me enjoy running on the treadmill even more. 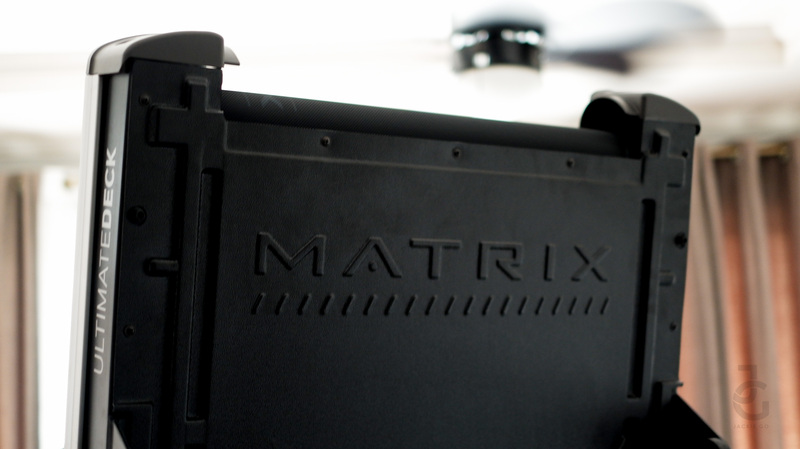 Matrix TF50 has an advance frame and deck combination. It strikes the perfect balance between engineering and aesthetics. The welded steel frame provides superior stability and the front wheel transport makes moving the treadmill easy. 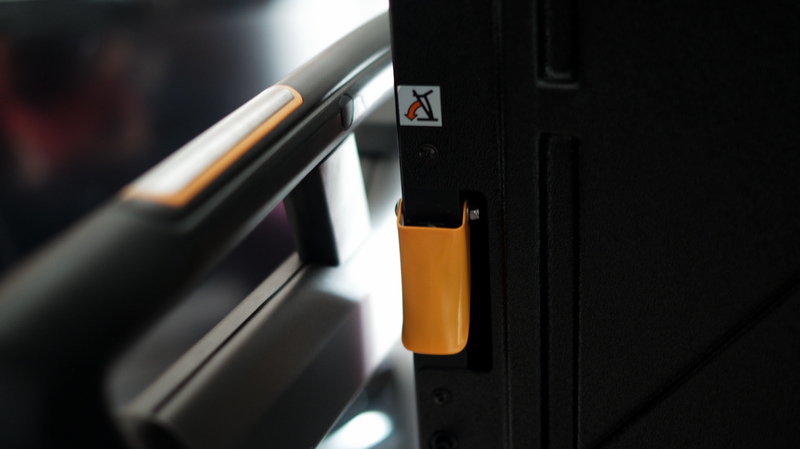 A pull-lever equipped with hydraulics makes the TF50 easy to use. The design lets the deck fold to a near-90 degree angle which makes it easy to roll away to save space. The Ultimate Deck System combines a heavy-duty frame, extra-thick deck and industrial-grade cushions for kilometres of durable performance. It folds to a near 90-degree angle and has four-wheels which makes it easy to roll and transport. It has the Sprint 8 program which lets me do a full workout for just 20 minutes. 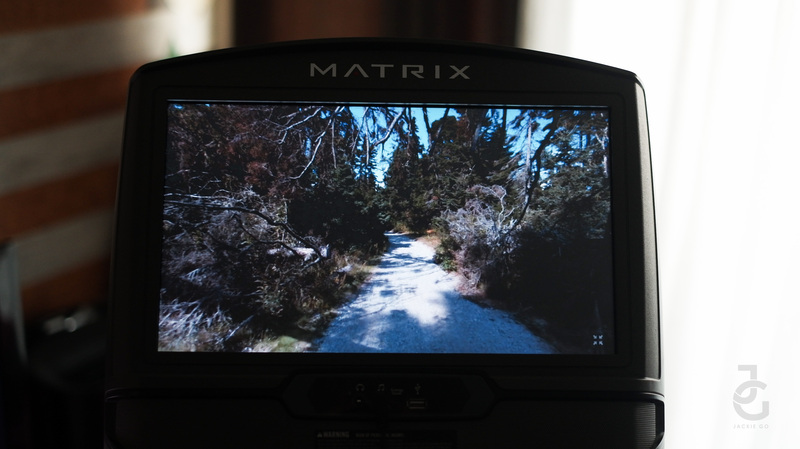 It has Virtual Active that stimulates outdoor scenario perfect for long distances runs. It lets me connect my USB, my phone easily. It’s also internet integrated so I can watch Netlix, surf Facebook and even tweet while I’m running. Never was I bored running on the Matrix TF50. Johnson Fitness & Wellness is slowly helping shape fitness here in Manila. To be more precise, they are changing the way home machines are with the launch of Matrix’s cardio machines and I’m glad to have tried it myself.